I have lived in Richmond all of my life and am a graduate of Hermitage High School and attended Longwood College. At age four I started dancing lessons with Coralease Wells and this later became the focus of my life. 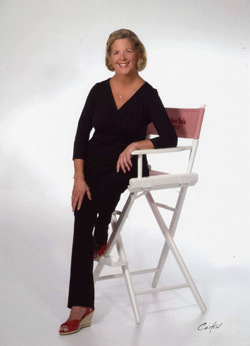 I have studied dance in New York, Washington, D.C., Myrtle Beach and Orlando with such well known artists as Fedor Lensky, Violette Verdy, Thalia Mara, Luigi, Roni Mahler, Karen Hebert, Debbie Dee, Frank Hatchett, Al Gilbert, Thommie Walsh, Jerry Rose, and many others. I was a performer with the former Richmond Ballet Company and as a child entertained at Fort Lee and the John Marshall Hotel with other students from my dancing school. For many years I was an assistant at the Wells School of Dance. 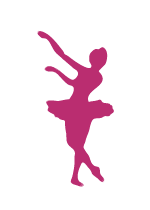 In 1983 I opened The Dance Studio in Richmond where I continue to teach ballet, tap, jazz, pointe, and exercise classes to students from 3 - 80 years of age. Annually, I choreograph, costume and direct performances at the Scottish Rite Temple for an audience of more than 2,000. I also teach dance at nursery and private schools in the area. At the end of the Gulf War, my students were asked to perform at the Carillon for the Richmond Newspaper's special presentation "Salute to the Troops." I am the choreographer for the Miss Greater Richmond Pageant and assist in preparing contestants for Miss America preliminaries. Also, I have been a judge for local scholarship pageants. Most recently, my students have provided the entertainment for the annual Christmas Gala for the Lakeside Business Association at the Lewis Ginter Botanical Gardens. I also take great pride in my students as we often do special classes to benefit local charities and other relief organizations. I continue to stay inspired by others as I attend national dance workshops and conventions. I am very proud to be celebrating the 31 years at The Dance Studio this year. Thank you for your continued support.